The New England Patriots star has been a golden boy on and off the field, so don't look for brands to drop their partnerships with the Super Bowl-winning quarterback despite Deflategate. Update: The NFL upheld Tom Brady’s four-game suspension on Monday, July 27. The following morning, Brady took to Facebook to maintain his innocence, and Patriots owner Robert Kraft called the ban "unfathomable." While Tom Brady prepares to appeal his four-game suspension to NFL Commissioner Roger Goodell, his team is standing by him. So is the list of sponsors whose products the Super Bowl-winning quarterback endorses. Brady notched nearly $7 million in endorsements in 2014, according to Forbes, and those companies have been publicly silent while the sports scandal is playing out. Yet experts tell PRWeek that there’s nothing brands should say or do because of the nature of the controversy. Many may be taking a wait-and-see approach, communications pros say. The pseudo-scandal may even be making Brady more popular. Fanatics, which bills itself as "the ultimate fan shop for sports apparel and fan gear," reported a whopping 100% increase in Brady-related sales in the days after his suspension was announced. Brady’s endorsement deals are mostly with high-end brands such as Ugg, Glaceau SmartWater, and Movado watches, "which typically weather scandal fallout better compared with sports-related endorsements," according to MarketWatch. Matt Saler, director of sports marketing at Imre, says there’s "no real need" for brands to worry about Deflategate. "It’s not the type of scandal to get involved with," he says. 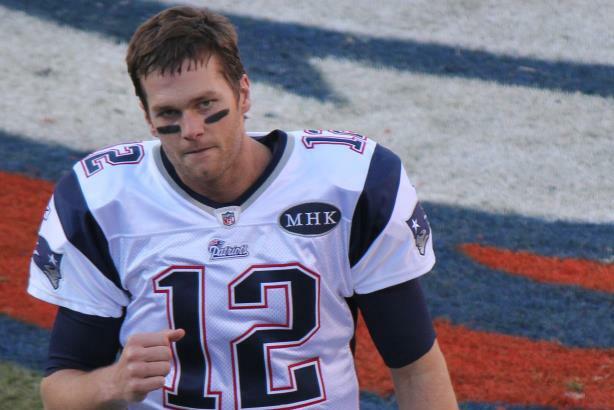 "To this point, [Brady]’s been unflappable, a brand’s dream. If you already have him on your roster, you’re standing by him now." Last Monday, the NFL suspended Brady four games after a months-long investigation into "Deflategate," or accusations that his team’s staffers intentionally deflated footballs to make them easier for players to throw, catch, and carry. Brady has denied any knowledge of cheating, but the league found it was likely the quarterback knew about the actions of two team equipment managers to deflate footballs. It also fined the Patriots $1 million and docked them two draft picks. The Patriots fired back at the league last week, casting doubt on the "Wells Report" investigation by launching a website of their own, WellsReportContext.com. Yet in a move mocked by many media members, the team also claimed one employee known as "The Deflator" earned that nickname because he was trying to lose weight. Brands are putting Deflategate in perspective, seeing there are more "drastic and volatile" issues the league needs to fix in terms of penalizing players, says Jason Blake, VP of MEC Access, MEC’s sports and entertainment marketing division. "Yes, he’s been branded as a cheater, but I don’t see his existing brands leaving him right now because there was a level of ambiguity to this Deflategate report," he explains. There’s still time for events, such as the appeal process, to play out, so it’s unknown how much of a blow Deflategate will be to Tom Brady, The Brand. Saler notes that the process may "weaken his brand a bit." Representatives from Movado and Coca-Cola responded to PRWeek to say Brady has not been an "ambassador" or "partner" with the companies for a few years. Ugg and Under Armour did not respond to requests for comment.